Freda Mae McDermott, age 91, of Gladstone, passed away Wednesday evening, November 28, 2018, at Trillium House in Marquette, MI. Freda was born in Murray, KY on September 18, 1927 to the late Talmage Douglas and Gillie (Wilson) Moore. At a young age, Freda and her family moved to Detroit, MI where she was raised and attended school. On April 19, 1945, Freda was united in marriage to Lloyd McDermott and together the couple made their home in Dearborn Heights, MI. Freda assembled electronics at Burroughs Corporation in Plymouth, MI for 30 years. Following her retirement from Burroughs Corp., Freda and Lloyd relocated to Gladstone, MI. Freda was employed for the Gladstone Schools, Christian Park Health Care Facility, McDonald’s in Gladstone and volunteered many hours as an OSF St. Francis Hospital auxiliary member. Freda’s husband Lloyd preceded her in death in 1991 and she has resided in Gladstone since. 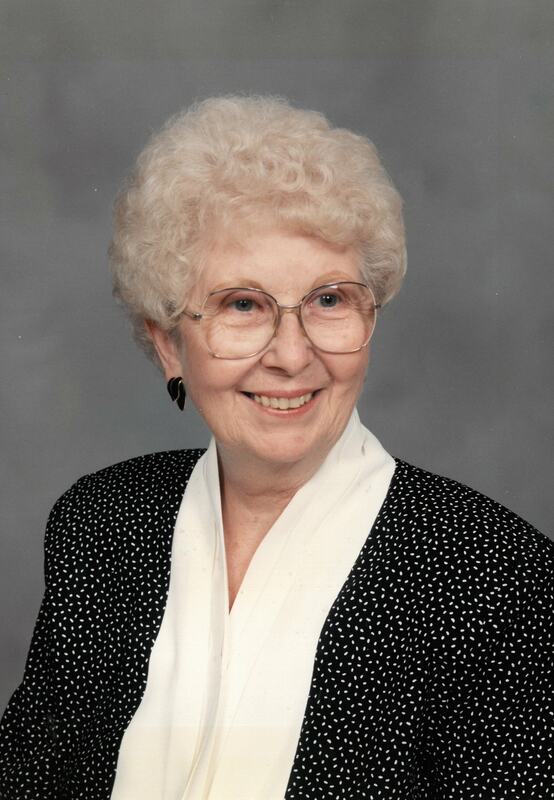 Freda was a member of Grace Church in Gladstone for over 40 years. She enjoyed knitting and crocheting, writing hand-written notes and cards to loved ones and lunch outings at the Hong Kong Buffet in Escanaba. Freda was a loving daughter, sister, wife, aunt (Sis and Sissy), honorary grandma, coworker, Sunday school/AWANA teacher and friend. She will be deeply missed. Also surviving are many great and great-great nieces, nephews and cousins whom she adored. Freda’s family will receive friends on Monday, December 3, 2018, from 3:00PM to 5:00PM, at the Grace Church in Gladstone. Funeral services will follow visiting hours on Monday, at 5:00PM, at Grace Church in Gladstone, with Pastor Jon Potes officiating. A luncheon will follow in the Grace Church, Fellowship Hall. Visitation will resume on Thursday, December 6, 2018, from 11:00AM to 1:00PM, at John N. Santeiu & Son Funeral Home in Garden City, MI. Funeral services will be conducted at 1:00PM at John N. Santeiu & Son Funeral Home with committal following at the Cadillac Memorial Gardens West Cemetery. The Skradski Family Funeral Homes of Delta County are assisting with arrangements. I had the privilege of styling Fredas hair for many years. Freda was a joy to visit with, loving all the stories she would tell about her nephews. A very prayerful Lady, now living in God’s Kingdom. Frieda blessed the lives of everyone who knew her. Her sweet spirit and frequent words of encouragement were a blessing to our ministry at Grace Church. Our love and prayers are with the family.